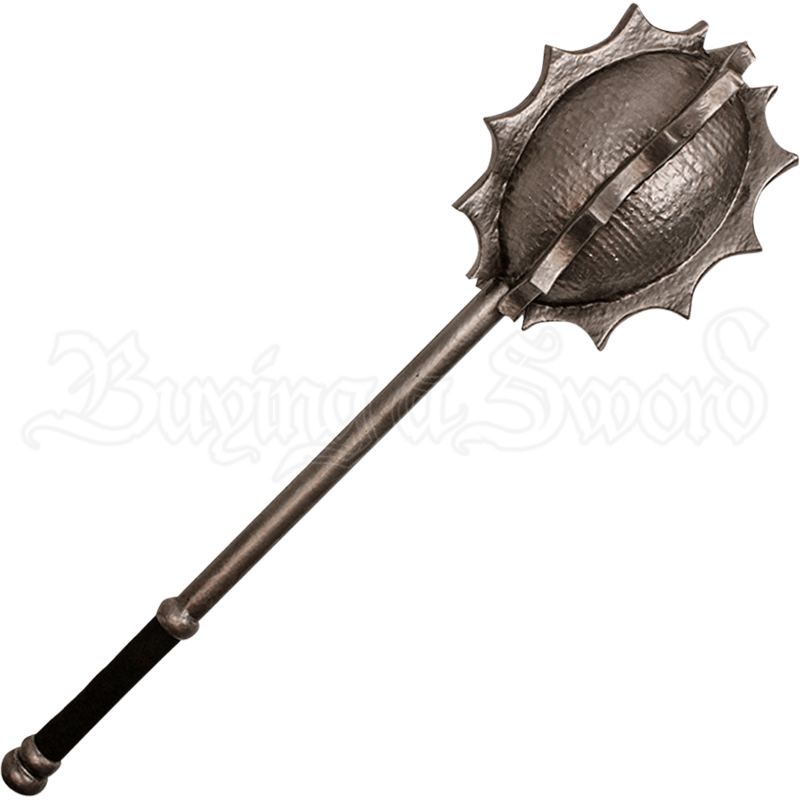 Displaying scalloped coronas of spikes across the rounded silver head, the Starburst LARP Battle Mace has a fearsome design perfect for bashing in helms. This medieval foam mace also makes a memorable addition to any cosplay ensemble. Crafted from dense latex foam with a unique fiberglass fusion core, this fantasy LARP battle mace is lightweight and extremely flexible. The durable latex construction with painted details provides a realistic look for any cosplay or theatrical production. The oblong mace head is attached to a silver staff. 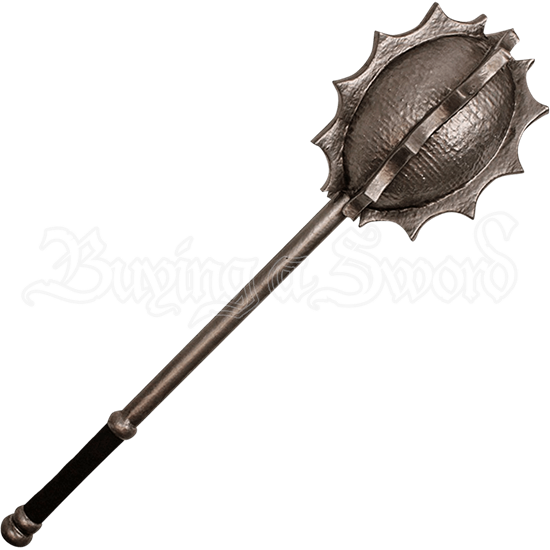 With a cloth wrapped ferrule for a secure and comfortable grip, this Gilded Bruiser LARP Mace is suitable for light sparring.